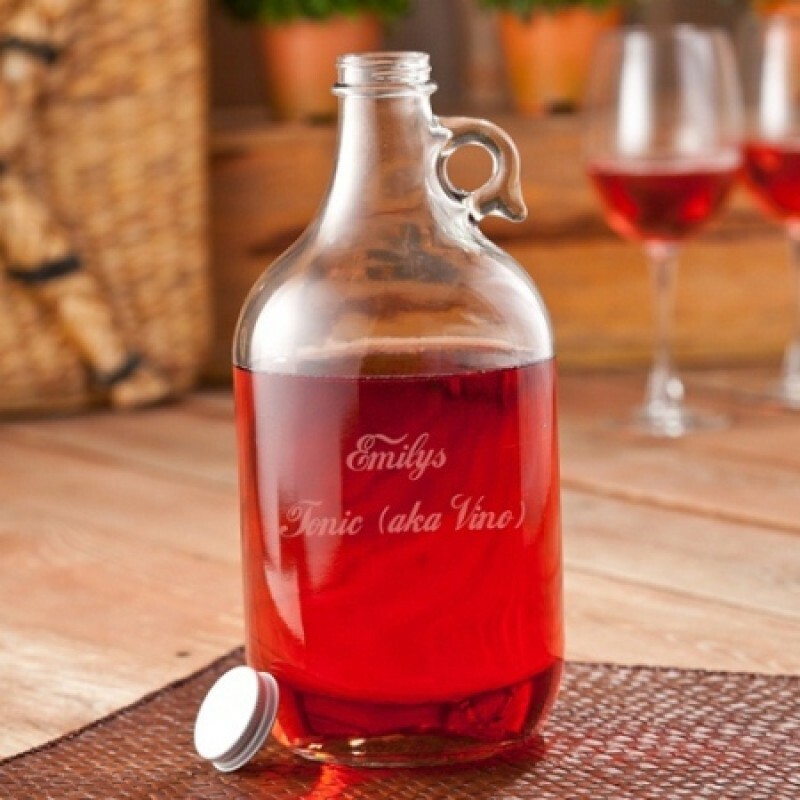 Personalized Wine Jug is the perfect carry-all for 64 ounces of wine, lemonade, hot cider or any other picnic or holiday beverage. Secure and portable with a twist off cap and heavy thick glass design. This classic jug is personalized with detailed etching so we know exactly who it belongs to.